With a little care and planning, anyone can make their little corner of the earth safe and friendly for bees. UC Master Gardener volunteer Clare Bhakta of San Joaquin County shared bee-friendly strategies during a community workshop in August, extending the reach of research information developed by UC Agriculture and Natural Resources. "Lure bees in," Bhakta said. "If you make it comfy, they will come." UC Master Gardener Clare Bhakta leads the "Buzz about Bees" workshop in San Joaquin County. Bhakta is a newly minted Master Gardener, having graduated in June from the intensive training program presented by UC advisors and specialists. 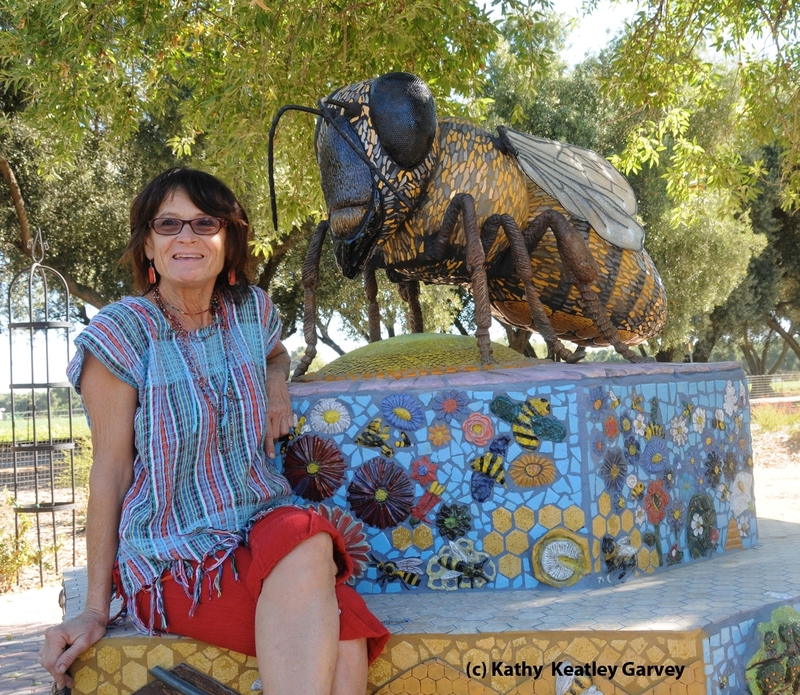 She is part of the San Joaquin County MG speakers bureau; the "Buzz about Bees" was her inaugural engagement. "We want bees in our gardens," Bhakta said. "Ninety percent of flowering plants and 75 percent of human crops depend on pollinators, including bees. Bee pollination makes about $15 billion in human food in the United States each year." What's good for bees also attracts other pollinators. 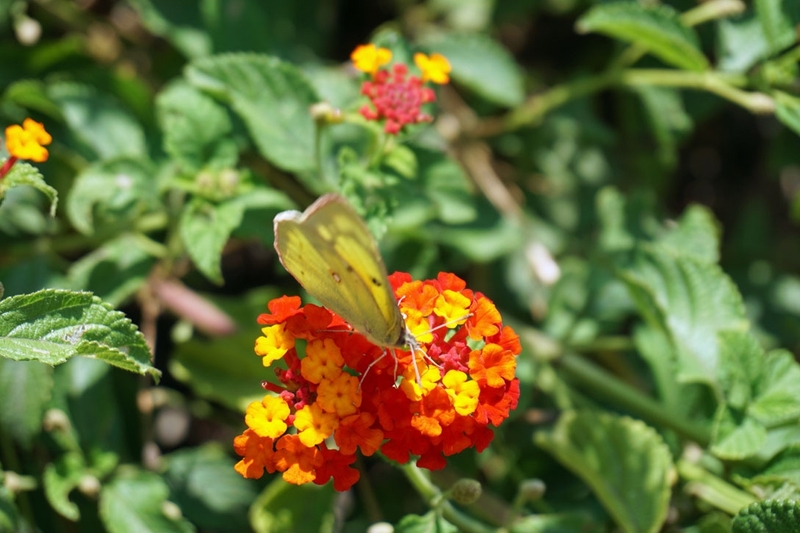 Here a yellow butterfly lands on lantana in the San Joaquin County demonstration garden, 2101 E. Earhart Ave., Stockton. 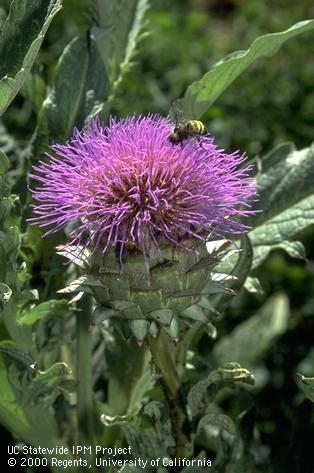 About 1,600 species of bees are found in California, many of them natives. Most of the bee species live independently, occupying holes in trees trunks or branches, or in the ground. Their sizes range from inch-long metallic black bumble bees to tiny sweat bees 3 millimeters in length. These species rarely sting since they don't have hives to protect. California's most recognizable bee is the European honeybee, imported from the Old Country by settlers in the 1600s. The insects serve as efficient pollinators and produce more honey than they can use themselves - offering humans an abundance of natural golden sweetener with antioxidants, vitamins and minerals. Bees work hard to produce honey. It takes 2 million flower visits - about 55,000 flight miles - to make a pound of honey. An individual worker bee lives just six weeks and produces about one-twelfth of a teaspoon of honey in her lifetime. 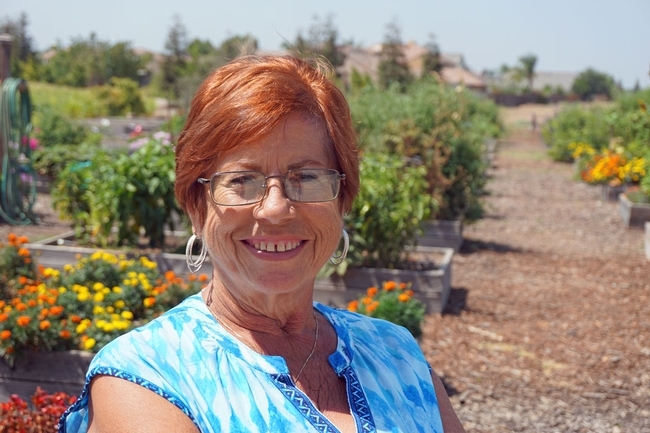 Sharon Butler is the president of the Ripon Community Garden. 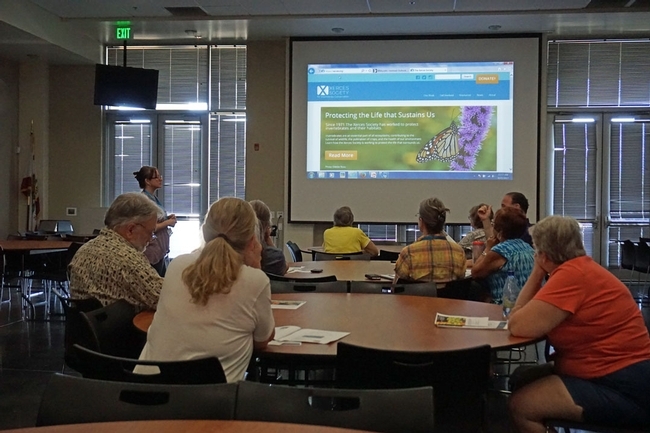 She attended the UC Master Gardener workshop to get research-based information on bee-friendly gardening. Sharon Butler, president of the Ripon Community Garden, attended the free workshop. 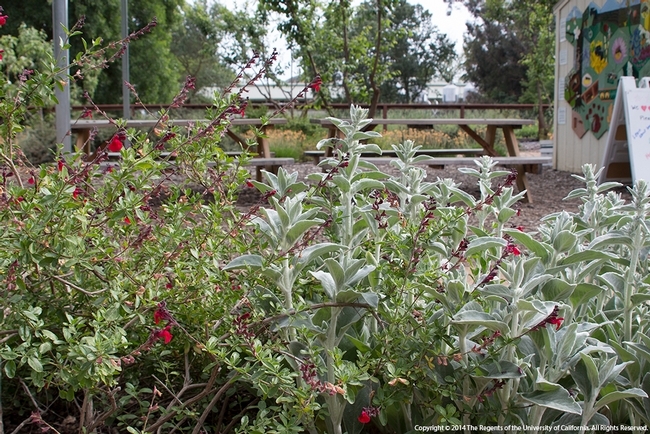 The 2.5-acre garden at the corner of Vera and Doak avenues has dozens of raised garden plots. The community just added several bee hives. Butler asked at the workshop about an unexplained phenomenon in their first honey harvest. "A couple of racks had dark spots with honey that had a cinnamon taste," she said. Bhatka said the variation was probably the result of nectar from different plants. "I wish I knew what plant it is, I'd plant a lot more," Butler said. 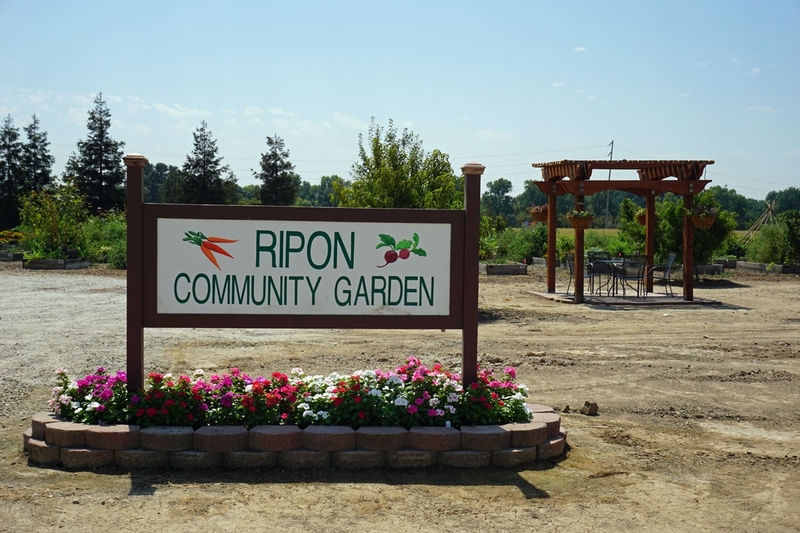 The Ripon Community Garden allows local families to grow food, and allocates four beds to grow fresh vegetables to distribute to local senior citizens. Creating a bee friendly garden may go against the grain for tidy gardeners. Bees don't prefer the well-trimmed plants and homogeneous color scheme of a formal outdoor space. "Bees love herbs," Bhakta said. "I let my sage go crazy this year and I couldn't believe how tall they got." 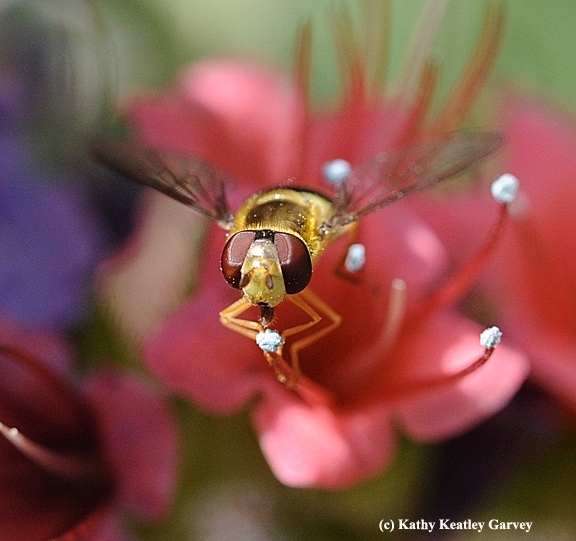 Marbles give bees a place to land and sip water. Bees like a wide variety of plants that bloom from early spring to late fall planted in clumps to minimize their travel time. Sweetly aromatic blooms, particularly blues and yellows, will attract the most bees. Rather than cover all soil with mulch, leave open areas for ground nesting bees. Keep a few dead tree stumps or branches. Particularly if it has holes, it makes an ideal nesting site for solitary bees. Let plants "go to seed," even when they begin to look overgrown and leggy. Provide a shallow water source. 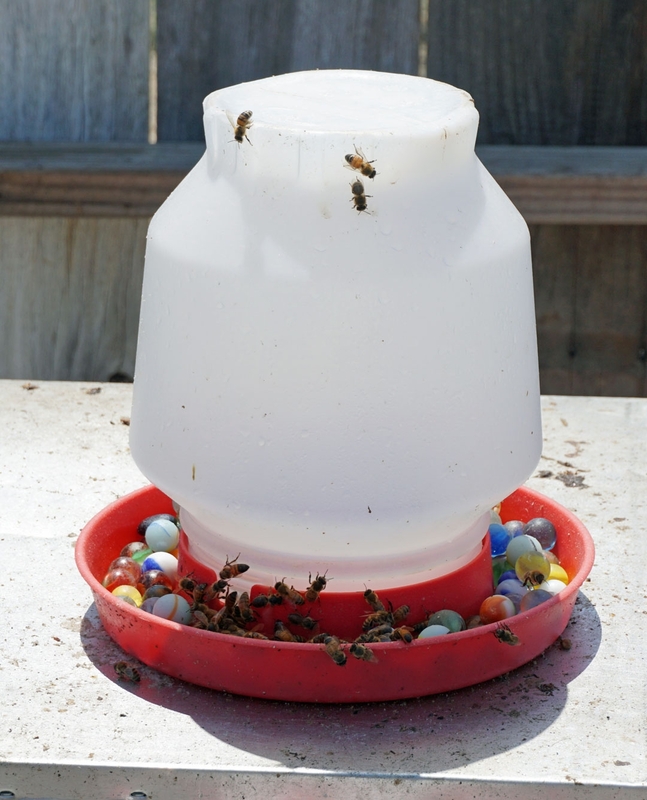 Filling it with pebbles or marbles allows the bees access to the water. Avoid using pesticides. Visit the UC Integeted Pest Management website for environmentally sound methods of controlling pests and weeds. Bees are the most important pollinators of California agriculture — helping farmers grow field crops, fruits, nuts, and vegetables. Honey bees receive most of the credit for crop pollination, but many other kinds of bees play an important role as well. There are 1600 species of bees in California! 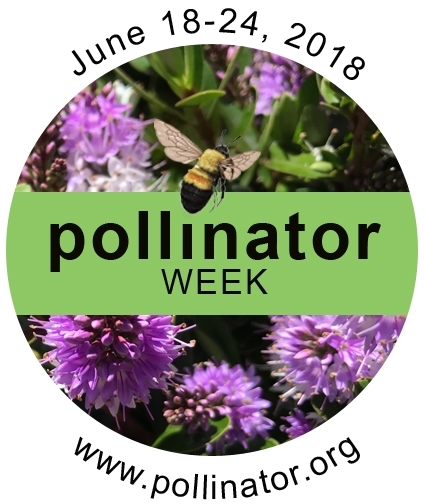 Take time during Pollinator Week to learn about the different kinds of bees and what you can do to help them flourish. Bees other than honey bees contribute significantly to crop pollination. For example, alfalfa pollination by alfalfa leafcutter bees is worth $7 billion per year in the United States. Other bees can also boost the result of honey bee pollination — in almond orchards, honey bees are more effective when orchard mason bees are present. The more bee species, the merrier the harvest. While growers often rent honey bee colonies to pollinate their crops, some wild bees pollinate certain crops even better than honey bees do. For instance, bumble bees are more effective pollinators of tomato because they do something honey bees do not: they shake pollen out of flowers with a technique known as buzz pollination. Likewise, native squash bees are better pollinators of cucurbits — unlike honey bees, they start work earlier in the day, and males even sleep in flowers overnight. When it comes to land management and pest management practices, some bees need more accommodations than others. That's why it is important to know what bees are present in your area and important to your crop, and plan for their needs. Use this bee monitoring guide to identify bees present on your farm. 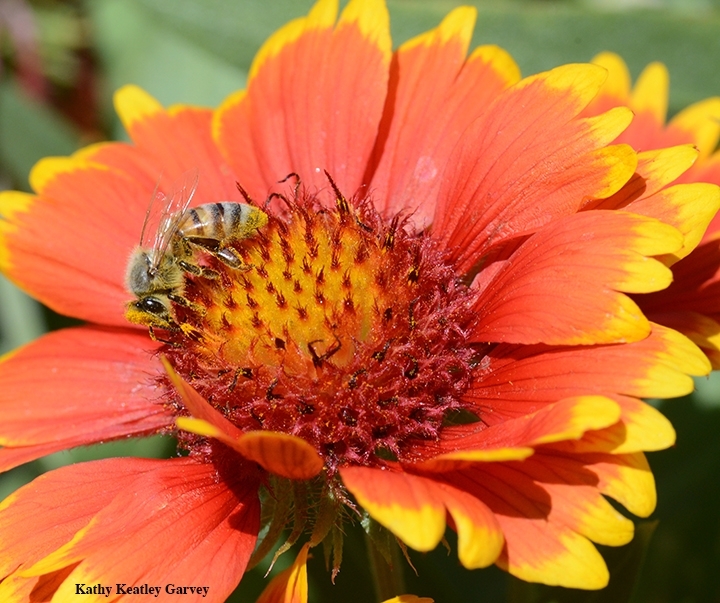 Like honey bees, native bees need nesting areas to thrive. Bumble bees, squash bees, and other bees nest underground. Ground-nesting bees may require modified tilling practices (such as tilling fields no more than 6 inches deep for squash bees) or no-till management to survive. For above-ground nesters, like carpenter bees and mason bees, consider planting hedgerows or placing tunnel-filled wooden blocks around the field. See the habitat resources below for more information about native bee nesting in agricultural areas. That old adage takes on more meaning when you plant wildflower strips on your farm. Wildflowers add resilience to our farming systems by providing bees with habitat and food - pollen and nectar. And they're not just for honey bees. 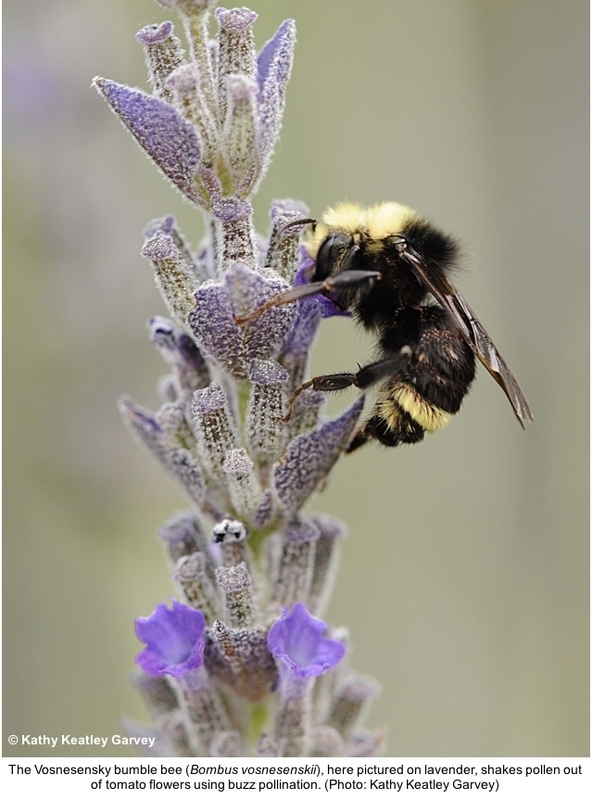 Many native bees, such as bumble bees and blue orchard bees, are important crop pollinators. Currently about a third of our crops benefit from bee pollination. This includes vegetables, fruit and nuts, as well as crops grown for seed production, including sunflower, melon, and carrot. Farmers primarily rely on honey bees for crop pollination; generally two colonies per acre are needed. Honey bees are efficient pollinators, but with colony collapse and increasing colony losses, we must diversify our farming systems so we don't rely solely on honey bees. Some important native bee crop pollinators include bumble bees, sunflower bees, squash bees, mason bees (blue orchard bees, which pollinate almonds, are mason bees) and leafcutter bees. The benefits of native bees? Generally they forage on flowers earlier in the day than honey bees do, they tolerate more wind and cooler temperatures and often they're more efficient at gathering and moving pollen from one flower to another. Native bees also prompt honey bees to disperse more, resulting in more pollinator efficiency. 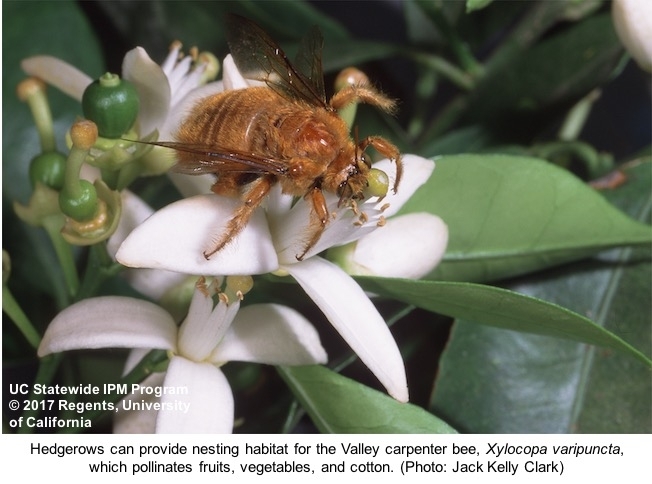 All this is important for good pollination and crop production, especially for crops like almonds that bloom in late winter when the weather is more unpredictable. Many native bees, including squash bees, nest in the soil, generally excavating chambers about 12 inches deep, where they pack cells with pollen for their young. Bumble bees often occupy vacated rodent holes. Leafcutter bees nest in woody cavities, often taking advantage of old beetle galleries. Discing and land clearing removes their nesting sites and potential food sources, but if you add wildflower plantings and hedgerows of flowering shrubs on your farm, that brings them back. Farms with strips of flowers along field edges have higher numbers of native bees than those that do not. Honey bees also benefit from better nutrition from flowers, strengthening their resiliency to pests, diseases, and pesticides. 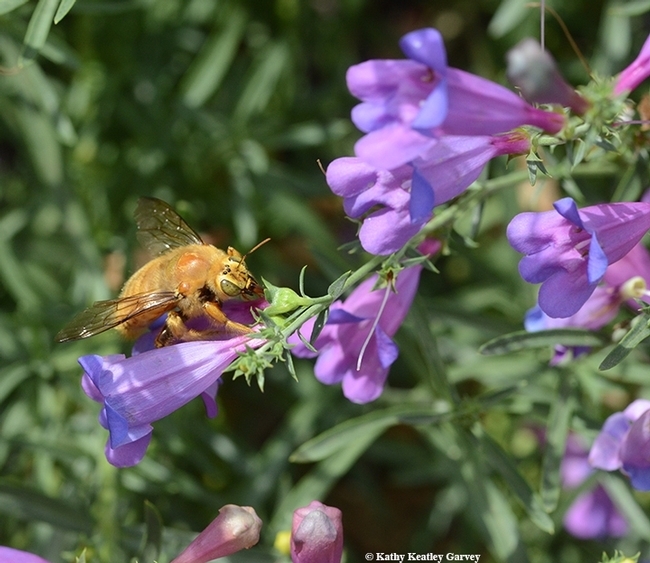 A recent study, Pest Control and Pollination Cost–Benefit Analysis of Hedgerow Restoration in a Simplified Agricultural Landscape, published by UC Agriculture and Natural Resources (UC ANR) and UC Berkeley, describes the economic value of these plantings. Generally, a $4,000 investment to plant a 1,000-foot hedgerow of native California plants, takes about seven years to pay off from enhanced pest control and pollination services from natural enemies and bees (where honey bees are limiting). If cost-share funding is available from the USDA, this will reduce the investment cost for the restoration and time on returns. 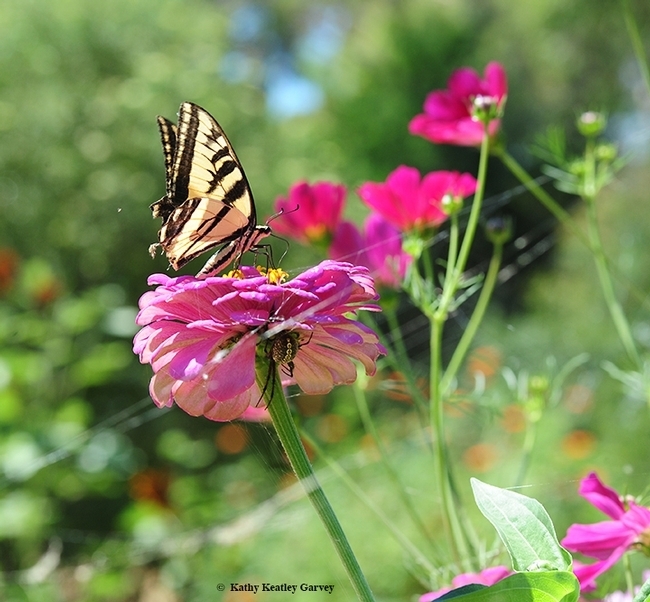 Although habitat plantings are definitely beneficial, some farmers have expressed concern that these plantings will bring in more pests, including rodents, birds and weeds. However, current UC ANR studies show strips of flowers on field edges export beneficial insects into adjacent crops for enhanced pest control. 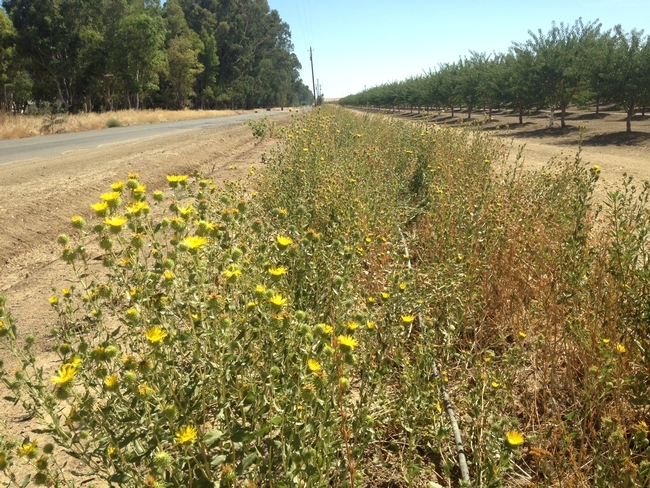 The wildflower strips are too small to support large numbers of rodents or flocking birds that can damage crops (with the possible exception of ground squirrels and cottontail rabbits), and weeds requiring management are present regardless of field edge habitat. Gumplant next to almonds, Yolo County, August 2016. Water? Although it's hot and dry out right now, many wildflowers do not need summer water. This includes Bolander's sunflower (great for songbirds like goldfinches, but the seeds should not be included in row crop mixes as they will cross-pollinate with our hybrid sunflower seeds), milkweed (great for monarch butterflies), vinegarweed, tarweed, gumplant, turkey mullein (doves love these seeds), and summer lupine. Bees, including natives and honey bees, thrive on these hardy flowers, especially now that the growing season is ending, and few crops are blooming. 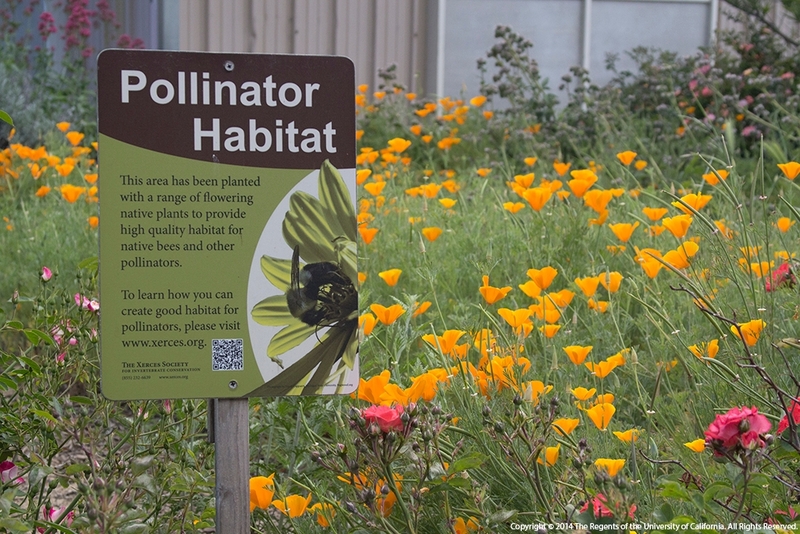 Look for more information on wildflower and hedgerow plantings on the Hedgerow Hub website, , the Xerces Society website, and UC Davis fact sheet Habitat for bees and beneficials. Networking is important too. A recent UC ANR survey showed that networking among growers, landowners, and conservation agencies is crucial in the adoption and implementation of new ideas, such as wildflower plantings. 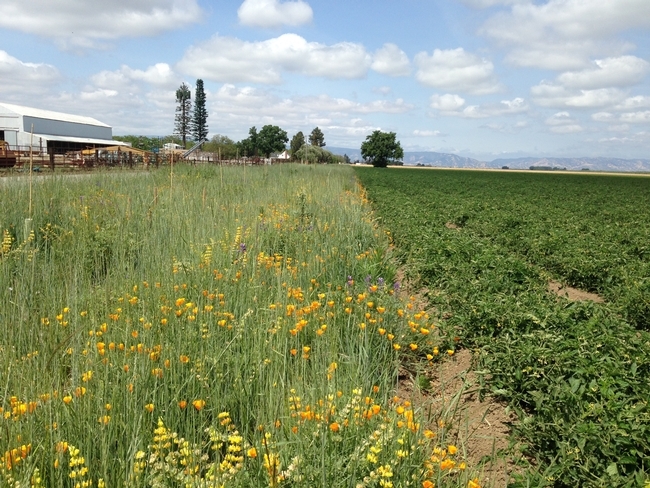 Wildflowers next to tomatoes, Solano County, May 2015.